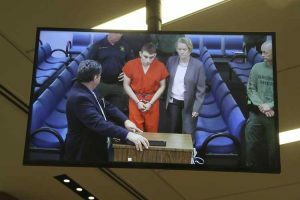 IT’S PAST time to discuss what appears to be the most common factor connecting the perpetrators of recent mass shootings. Nearly all of them grew up without a father in the home. That’s not a story the major media wants to report, even though research indicates that growing up without a father affects children at the DNA level. Also: Astroturfing the March for Our Lives; liberal discipline policies make schools less safe; School Shooting Was Outcome of Broward County School Board Policy; 2014 WaPo article announcing Obama’s DOE/DOJ new guidelines on school discipline; shocking decline in sperm count among men in Western nations; and study says house cats would kill us if they were bigger. The Hear the Watchmen Conference in Dallas March 22-25, 2018 featuring L.A. Marzulli, Carl Gallups, Bill Salus, Russ Dizdar, and many others is just about sold out, but you can still watch from the comfort of your own home! Save 20% off the HD video feed by using the promo code GILBERT20 at www.HearTheWatchmen.com. There are two spots open on the True Legends Expedition to Rome and Sardinia with us, Steve Quayle, and Timothy Alberino! Click here for more information. Check out the new video version of Derek’s interview program, A View from the Bunker. Please subscribe to the YouTube channel to get automatic updates when new shows are ready! To get all of the Gilberts’ audio from PID Radio, the Gilbert House Fellowship, and Derek’s interview program A View from the Bunker, go to www.spreaker.com/user/gilberthouse.